Disposable foodservice products that are friendly to the enviroment. These products are environmentally friendly, made from sustainable resources that are both recyclable and compostable. This helps reduce the amount of waste in our landfills, and that makes for a better world. 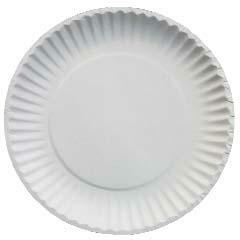 PrimeWare plates are biodegradable and compostable. 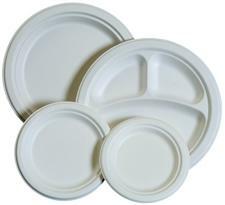 Sturdy plates hold hot or cold food items and are microwave and freezer safe. Plate sizes from 6 inch to 10 inch diameter. For hot and cold foods. Fluted rigid rims for strength.